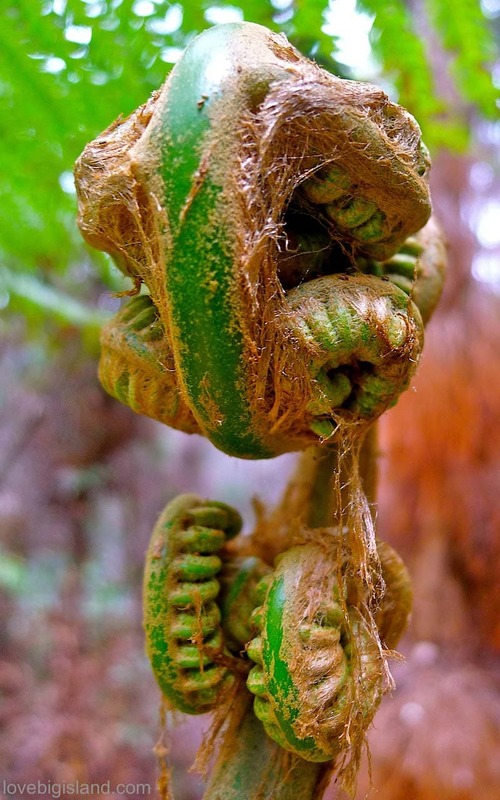 The Hāpuʻu (Cibotium menziesii) or Hawaiian tree fern is very common on the Hawaiian islands and can grow up to heights of 40 ft (12 meters). This fern is what gives many places on Hawaii such a distinct “Jurassic park” feel. The ferns are native to Hawai’i and can most easily be spotted at the windward (east) side of al Hawaiian islands at elevations between 1000 to 6000 ft (300 to 1800 meters). There used to be Hāpuʻu all over the Hawaiian islands but due to population pressure and their transplantation for landscaping purposes they are becoming more difficult to find. 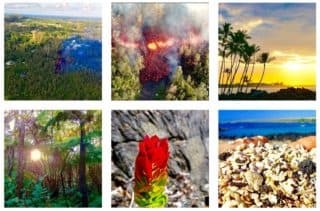 One of the best places to see them (and to get that Jurassic park vibe) is in the rainforests of Volcano Village or in the adjacent Hawaii Volcanoes National Park. Different parts of the Hāpuʻu were used by the Hawaiians as medicine. Applications range from blood purifier to returning loss of appetite, against muscle pains, to make weak persons stronger and to mitigate chest pains [source]. The pulu (silky hairs) were used to absorb bodily fluids of deceased people and the trunk of a large specimen can be used as a container for uhi (yam) plants. The reason for this is that during a famine people had to depended on hāpu‘u to stay alive, but the process of making the hāpu‘u edible takes a long time. First, the hāpu‘u needs to be harvested. Then, the imu (underground oven) needs to be prepared, and finally, the three whole days during which the hāpu‘u is cooking need to be survived. If the food was done in time, then hunger was stayed; if not, there was another long delay, and by that time someone may have starved to death. If you are interested in Hawaiian proverbs we recommend ʻŌlelo Noʻeau: Hawaiian Proverbs & Poetical Sayings, published by the Bishop Museum.